A look at the Importance of Being Earnest composer's brilliant and bizarre back-catalogue. 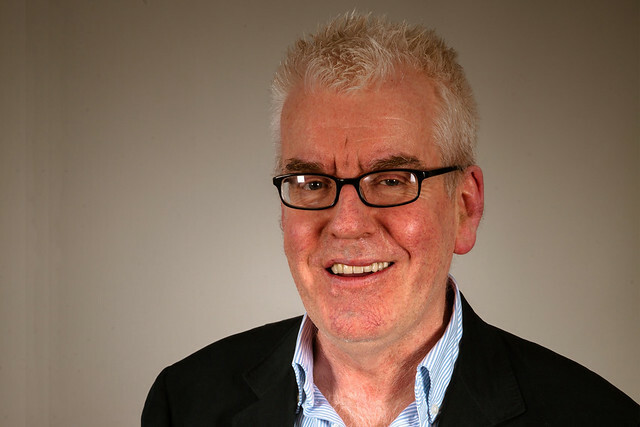 ‘The music – it’s like being attacked by knives.’ But in a good way: Gerald Barry’s exuberant, ebullient, brilliantly fearsomely monstrous music sounds like nothing else. If, as an ENO staff member put it during rehearsals for Barry’s third opera, it can be a little like being chased by a serial killer, then at least it’s a serial killer festooned in jester’s finery, bells all a-jangling. Barry’s music is grotesque, poignant and beautiful all at once: there has possibly never been a composer better suited to opera-ing Wilde’s masterpiece The Importance of Being Earnest. Barry was born in Clarecastle, County Clare, in 1952 and in the late 1970s took up scholarships with Schrat, Stockhausen, Cerha and Kagel (who noted his genius for getting scholarships). Early works have a clear Barry stamp: the disparate instruments in ‘____’ spiral through an almost-unfamiliar scale selected from a chart showing the locations of John Jenkins's manuscripts. Ø, scored for two pianos playing the same part at various octaves, introduces Barry's practice of adaptation through the unholy elevation of those non-harmonic passing notes that give melodies their particular thumbprint (here the unsuspecting victim is Irish folksong Bonny Kate). Both works are distinguished by an air of meaningful nonsensicality. Barry returned to Ireland, scholarships exhausted, in 1981, and that year began his first opera, The Intelligence Park. It would take the best part of a decade to complete, during which time Barry’s interest in Baroque music qualities snowballed. In Dublin, 1753, composer Robert Paradies is struggling with his own opera. He falls in love with his rich fiancée Jerusha’s singing teacher, the castrato Serafino; and when Serafino elopes with Jerusha all hell breaks loose. So far, so operatic: but the music tightens the screws. Inspired by the ‘bizarre artificiality’ of his friend Vincent Dean’s libretto Barry's absurdist, beautiful work is largely based on abominated Bach chorales suspended through his now-signature acrobatic vocal lines. Barry’s latest is The Importance of Being Earnest, receiving its UK stage premiere in the Linbury Studio Theatre in June. Algy’s insane Auld Lang Syne opens the opera and stomps throughout it; Cecily and Gwendolyn’s filthy Sprechstimme argument is accompanied by the smashing of 40 plates (‘I asked myself what would be an expression of their anger and I suddenly thought of breaking things’); a basso profondo Lady Bracknell spits out Schiller when she gets excited; and the machine-gun-paced, totally-not-contiguous vocal lines heighten what Barry terms the ‘play’s kind of hysteria’. It's exhilarating, demented and nightmarishly absurd; and, from Barry, we wouldn’t expect anything less. The Importance of Being Earnest will be performed at the Barbican, London from March – April 2016, and at the Rose Theater, New York in June 2016. Find out more about booking dates. The production is generously supported by The John S Cohen Foundation.